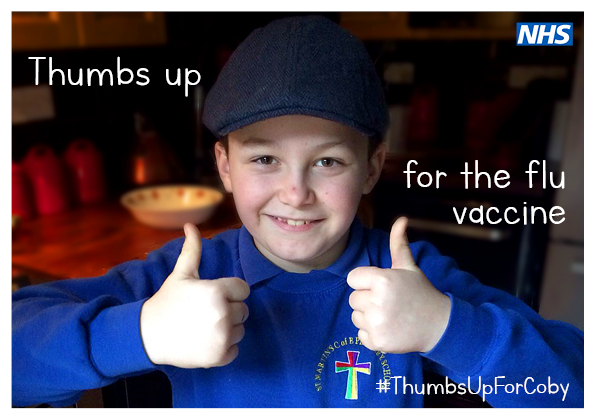 The parents of a nine-year-old boy from Devon who died from flu in January this year are calling on mums and dads to vaccinate their children, saying the loss of their son hurts every single day.  Parents of children from reception class to school year five must give their consent for their child to have the vaccination at school and this year most schools in Devon are asking parents to use a simple online consent form – so make sure you check your inbox for the email or your child could miss out.  If your child is aged 2-4 (but is not in school) or has a long term condition like asthma or diabetes, contract your GP and book them in for a free vaccination. Clinics are available now and are filling up so get in touch now to protect your child.